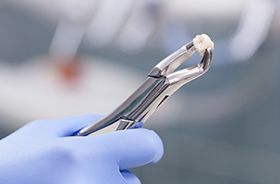 At New Haven Dental Group, we’re usually able to repair any teeth that have developed decay or damage, but sometimes, a tooth can be so far gone that the only viable option is to remove it. When this is necessary, our team takes every step possible to keep a patient comfortable from beginning to end, including answering all questions beforehand and using plenty of local anesthetics. Afterward, if needed, we can help a patient quickly replace the tooth with one of our custom-made restorations. 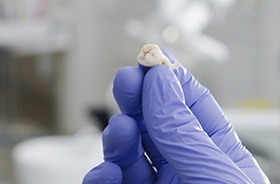 It has a cavity that is too big to be restored with a filling or crown. The enamel is so broken that it cannot support a restoration. An advanced infection has weakened the bone supporting the tooth. A baby tooth is blocking the path of an incoming permanent tooth. More room is needed in the mouth for either a denture or upcoming orthodontic treatment. After an extraction, a patient may experience a little soreness around the treatment site for a few days, but in less than a week, they should be able to resume their normal diet and daily activities.